Never loses the target once it has been captured. Four objectives ranging from low to high magnifications are installed on the motorized revolving nosepiece together with an SPM unit. The magnification and observation method can be switched seamlessly so that the observation target will remain captured within a field of view. The OLS4500 performs fast search in nano-surface texture. A wide range of magnifications and various observation methods enable to detect observation target easily. With a wide range of magnifications and various observation methods, backed by advanced optical technology, the optical microscope makes it easy to locate the observation target. In addition, laser DIC (Differential Interference Contrast) observation enables to visualize nanometric order irregularity in live image. Reduces the work time from sample placement to image acquisition. Once the sample has been placed on the OLS4500 microscope, all subsequent operations can be performed on the same microscope. The ability to locate the observation target quickly and accurately with SPM allows target image acquisition in one scanning area. Integrated design makes it possible to use a single microscope simply by switching the magnification and observation method, without having to remove and replace the sample on another microscope. As the OLS4500 is an integrated optical, laser and probe microscope system, you can switch between the three microscopic modes as required for observation and evaluation, without having to replace the sample itself. Each of the integrate microscopes is equipped with an array of powerful functions to assure optimum output. A white LED is used as the light source to ensure clear color images with excellent color reproduction. The four objectives enable observation at various magnifications, ranging from low to high. Making full use of the features of optical microscope, the OLS4500 is capable of BF (Brightfield) observation – the most commonly used, DIC (Differential Interference Contrast) observation for stereoscopic visualization of fine surface texture by enhancing contrast, and simplified polarized light observation that represents the polarization characteristics of the sample with different colors. Other functions include HDR (High Dynamic Range), which synthesizes several images captured by varying the exposure time to obtain an image with well-balanced brightness and enhanced texture. The OLS4500 can quickly find the area of interest using various observation methods. Most widely used observation method. reproduction. Suitable for observing samples with high contrast. visualization of samples that cannot be observed with BF. Suitable for detecting defects and foreign matter on samples with mirror surfaces such as metallic structure, hard disks and polished wafer surfaces. Visualization of the polarization properties (e.g. refractive index) of samples by reflected polarized light (light with a specific vibration direction). Suitable for observing metallic surface, minerals and semiconductor materials. possible by enhancing the texture (surface conditions). LSM Can Visualize What Cannot Be Observed with an Optical Micro scope. Thanks to a short-wavelength 405nm laser light, a higher-aperture (high-N.A.) objective lenses and confocal optics, high X-Y resolution is available so that objects not visible with the optical microscope can be observed in clear images. Laser DIC observation makes possible live observation of nanometer micro surface. Four objectives ranging from low to high magnifications are installed on the motorized revolving nosepiece together with the SPM unit. 50X and 100X live observation mode using the optical microscope or LSM places the SPM scanning area in the center of the field. The area of interest can be approached accurately by setting a target mark over the area and switching to the probe scan mode. This means that the target image can be obtained with a single SPM scan, improving work efficiency and reducing wear of the cantilever. Preparations for SPM observation, such as cantilever installation and scanning area setting, can be performed by following the guidance display, which means that even operators with little experience can safely perform preliminary work. The OLS4500 employs a nosepiece-mounting-type SPM scanner head. Because the objective and the cantilever tip are in the coaxial, parfocal positioning, the observation point will not be lost from the field of view even after switching to SPM mode. The newly developed compact SPM head is improved rigidity, so it features reducing image noise and improving responsiveness. The navigator function allows closer viewing of the required region in an image acquired with the probe scan mode by further increasing the magnification. The target image can be obtained by simply setting the magnifying region using the cursor and starting probe scan. The scanning area can be set freely, allowing observation and measurement to be performed more quickly and efficiently. Images acquired in SPM measurement mode can be analyzed to suit the requirements of different applications, and the results can be exported as the CSV format. The OLS4500 provides the following analysis functions. This mode scans the setting area by the cantilever statically while keeping the repulsive force constantly between the cantilever and sample in order to visualize the height information of the sample. It can also be used for the force curve measurement. This mode vibrates the cantilever at near the resonance frequency and controls the Z-direction distance to make the vibration amplitude constant in order to visualize the height information of the sample. 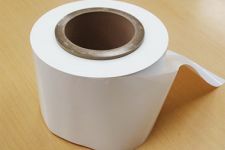 It is suitable for samples with soft surfaces such as polymers or viscous materials. This mode detects phase delays in the cantilever vibration during scanning in the dynamic mode. It can visualize the difference in physical properties on the sample surface. This mode applies a bias voltage to the sample to detect and visualize the current flowing between the cantilever and sample. It can also be used for I/V measurements. Sample of SiO2 pattern on a Si substrate. The yellow region in the height image (left) is SiO2, which is displayed blue (region without current flow) in the current image(right). These images show that a substrate has regions without current flow. This mode applies an AC voltage through the conductive cantilever, detects the electrostatic force working between the cantilever and sample, and visualizes the electric potential on the sample surface. It is also called the Kelvin Force Microscope (KFM) mode. Sample of magnetic tape. The surface potential image shows that potential difference of a few hundreds of mV is distributed on the sample surface. This distribution is regarded to reflect the presence of irregularities in the lubrication layer on the tape surface. This mode scans the setting area with magnetized cantilever in phase mode and detects the phase delays in the cantilever vibration then visualizes the magnetic information on the sample surface. It is also called the Magnetic Force Microscope (MFM) mode. Sample of hard disk. The image shows the distribution of magnetic property. Thanks to dedicated objective lenses with high numerical apertures and a dedicated optical system that obtains superior performance from a 405 nm laser, the OLS4500 can reliably measure acute-angled samples that were previously impossible to measure. Thanks to a short-wave length 405 nm laser light and a higher-aperture objective lens, 0.12 μm X-Y resolution is available. As a result, the OLS4500 can perform submicron measurements of sample's surface. Combined with a high-precision linear scale and Olympus original intensity detection technology, this allows high-definition imaging, enabling accurate height measurement from the submicron to the hundreds of microns range. In addition, the OLS4500 is able to assure both "accuracy", which indicates how close a measurement value is to its true value and "repeatability", which indicates the degree of variations among repeated measurement values, both show the performance of measuring tool. Though the field of view at high-magnification image is narrow in general, the stitching function of the OLS4500 can provide image data with high resolution and a wide field area by stitching together up to 625 images. The obtained wide-field image can be subjected to 3D display and 3D measurement. With continuous reductions in the size and weight of recent industrial products, the parts composing them are also subject to miniaturization. This trend toward micro-miniaturization of component parts is increasing the importance of surface roughness measurement, as well as geometry measurement. Reflecting these market needs, the ISO added the LSM and AFM to the list of 3D surface texture measuring instruments (ISO 25178-6). This means that non-contact surface roughness measurement is recognized as an official evaluation standard just like the traditional contact surface roughness gauge . The OLS4500 comes with roughness parameters conforming to the ISO. Non-contact surface roughness measurement can obtain the plane roughness as well as the line roughness. The plane roughness measurement can also identify roughness distribution and properties in a region designated on the sample surface so that they can be collated with the 3D image for evaluation. The OLS4500 can measure the surface roughness using either the LSM or SPM function. These two functions can be selected according to the sample properties or observation purpose. The OLS4500 comes with the same Surface Profile Parameters as contacttype surface roughness gauges, offering compatible operability and measurement results. The OLS4500 comes with roughness (3D) parameters conforming to ISO 25178. By evaluating the planer area, high-reliability analysis is made possible. Brightfield observation can provide color information. Ink-jet dots. The optical microscopic image using visible light range (400 to 800 nm wavelength) enables observation at magnifications ranging as high as approx. 1000x. 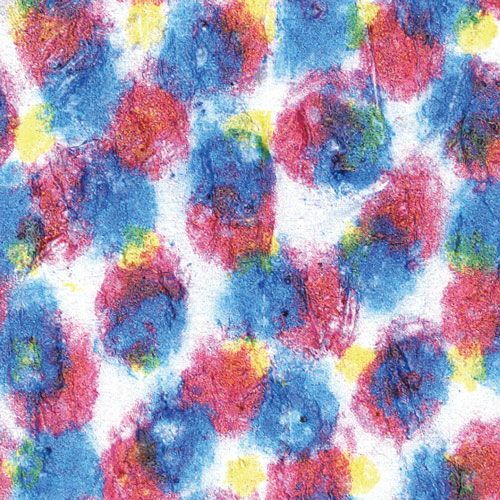 The optical microscope makes it possible to observe a sample in color, to enhance surface texture by switching the observation method, and to observe substances by taking advantage of their properties (polarization property). The OLS4500 can apply the following observation methods. Most popular observation method. Forms an image from the light reflected from the sample surface. 3D visualization of fine surface irregularities on the sample by enhancing the contrast. The X-Y plane resolution of an optical microscope depends greatly on the wavelength of the light used. The LSM employs short-wavelength light so its X-Y plane resolution is superior to that of a traditional microscope which uses visible light. The OLS4500 incorporates a laser light with a short wavelength of 405 nm and combines a dedicated high-aperture (high-N.A.) objective and confocal optics to achieve X-Y plane resolution of 0.12 μm. Its XY scanning function - which uses an Olympus-original 2D scanner - makes possible high-resolution scanning of 4096 x 4096 pixels (max.). The LSM employs a short-wavelength semiconductor laser light and confocal optical system to detect in-focus images, while eliminating out-offocus images. Combined with a high-precision liner scale, this allows highdefinition imaging, enabling accurate 3D measurement. SPM is the generic name of microscopes which perform 3D type observation of samples by approaching a small probe with a tip curvature of about 10 nm to the sample surface and scanning the sample, while detecting the dynamic and electrical interactions between the probe and sample. One of the typical SPMs is the AFM (Atomic Force Microscope), which images minute surface texture of the sample by detecting the attractive and repulsive forces between the probe and sample surface. Observation at the nanometric level makes it possible to capture the texture of the sample finely. The OLS4500 employs an optical lever system that can detect the micro-deflection (displacement) of the cantilever carrying the probe on the tip with high sensitivity. By reflecting the laser beam on the back of the cantilever and applying Z-axis drive using a piezo device, the beam hits the specified point on the photodetector so that the system can read a minute Z-direction displacement. The scanning probe mode incorporates various modes for use in texture observation and measurements of the sample surface, as well as for analysis of the physical properties. The modes available with the OLS4500 are as follows. Phase mode： Visualization of physical differences on the sample surface. Current mode*： Detection and visualization of current flowing between the probe and sample. Surface potential mode (KFM)*： Visualization of electric potential on the sample surface. Magnetic force mode (MFM)*： Visualization of magnetic information on the sample surface. The probe is placed on the tip of a sheet-type cantilever with a length of approximately 100 to 200 μm. The spring constant and resonance frequency of the cantilever are selected according to the sample feature. As the probe wears after repeated scanning, the cantilever tip should be replaced either periodically or as required. The X-Y plane resolution of the SPM is determined by the probe tip diameter. The cantilevers developed and fabricated by Olympus assure stable probe tip quality to lead to high reliability. Unique designs such as “TipView” structure facilitates exact probe positioning, while the “New Concept Chip” improves usability as well as accuracy. *A cantilever product catalog is separately available. Widely used in dynamic mode measurements. It is suitable for surface roughness measurement. Spring constant of 2 N/m (Nom.) is smallest of silicon cantilevers for AC series. It is therefore suitable for measurements of viscoelasticity of soft samples. Widely used in contact mode measurement, due to the cantilever softness and probe wear resistance. Each chip has two cantilevers of differing lengths of 100 μm and 200 μm. The cantilever needs to be replaced, depending on the frequency of use. As the motorized revolving nosepiece, SPM scanner head and cantilever are precisely aligned, you can complete replacement of the cantilever just by inserting the position-aligned cantilever holder into the SPM scanner head. A special alignment tool is provided for use in the positioning of the cantilever and holder so that accurate adjustment is easy for anyone. Other types of cantilevers can also be replaced using the same procedure, thereby improving the efficiency of observation and measurement. • The dimensions and mechanical properties shown above are typical values. • Pay special attention as cantilevers are very small and subject to danger of getting could get into your eyes or be accidentally ingested. • For information on using cantilevers for Current mode and Magnetic Force mode, please contact your Olympus dealer. • In addition to the cantilevers shown here, a wide variety of cantilevers are available from Olympus. Please contact your Olympus dealer for details. Pits on the recording surface and surface conditions can be observed in detail. Cracks propagated from the apex angle of indentation are clearly visible. Atomic steps of approx. 0.3 nm TiO2 (oxidized titanium) can be seen. Minute foreign particle (white area) attached to the pattern surface can be seen. A flaw on the film surface (center left) can be seen. (Scanning area: 1.8 μm x 1.8 μm, surface potential mode (KFM); Left: height image, Right: potential image) Surface shape (left) and surface potential (right) on the aluminium anode oxide layer are visible. A mesh structure that is not apparent in the height image is detected. Evaluating the Shape of the Landing Zone Pattern and Contaminants on a Hard Disk / All-in-one system of optical, laser, and probe microscope capabilities provides seamless measurement from the millimeter to nanometer level.